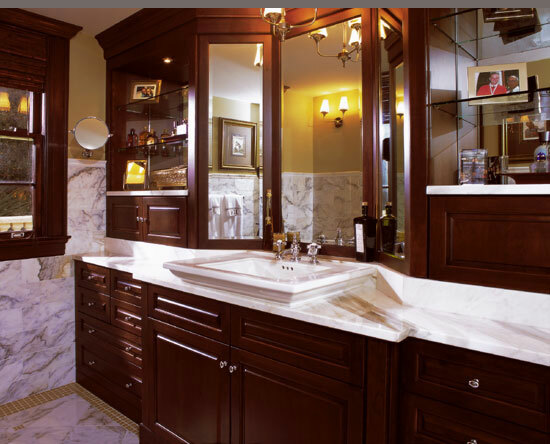 We pride ourselves on having one of the largest and most complete displays of bathroom cabinets in Rockville, MD, Bethesda, Silver Spring, and the greater Washington DC Metro Area. We are premiere dealers of several quality bathroom and kitchen cabinet brands. 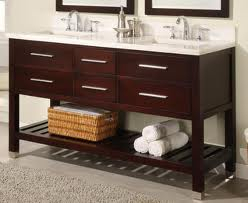 We have over 70 different bathroom vanities on display with 100’s more as well as custom cabinets available. 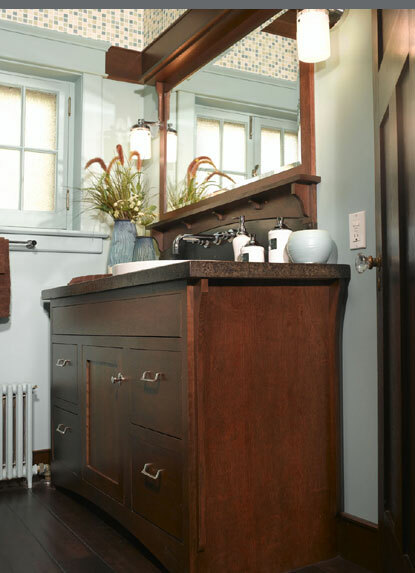 Included are cabinetry styles to suit every taste and budget including Sleek Contemporary / modern bathroom vanities, Transitional, various rustic bathroom vanity cabinets, Traditional and Old World. 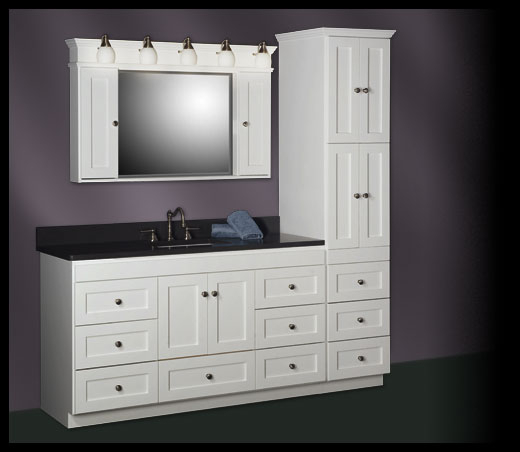 On display are Wall Hung vanities, double sink vanity models, vessel sink vanity models, Bathroom Furniture Style vanities and Modular vanities that you can customize to fit your needs. Looking for small bathroom ideas? 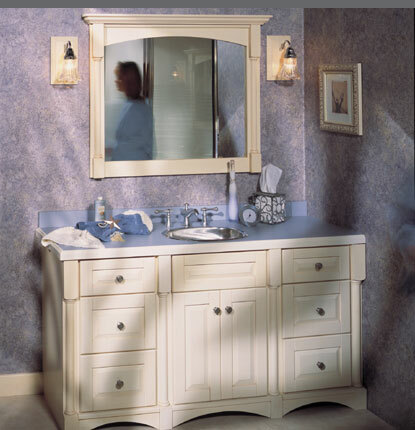 Ask us about our small vanity options, including corner vanity & wall mounted vanity models. 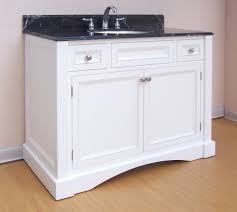 We also have a great selection of cabinet hardware and bathroom sinks. While we specialize in bathroom cabinet models, we do have custom kitchen cabinets available also. We offer incredible discounts on Kitchens by Omega (Embassy and Dynasty Cabinets) and many other brands. We also can provide cabinets for other rooms of the home and can help you to design layouts for Laundry Rooms, Entertainment Centers and Home Offices. Bring in your design and compare our prices, lead times and service. 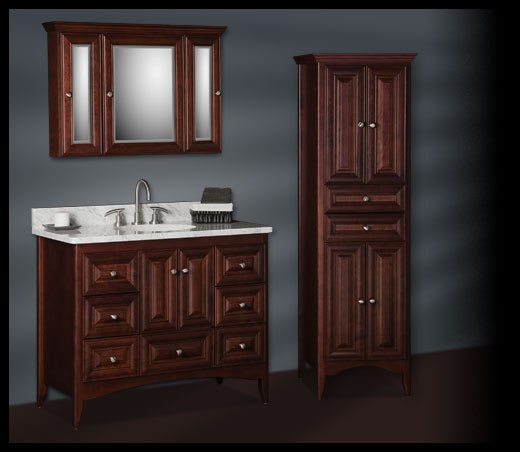 Visit us today to see one of the most extensive kitchen and bathroom vanity showrooms in Maryland. Omega cabinets are high quality semi custom and custom cabinetry Made In America. They do cabinetry for every room of the house, of course bathroom cabinets, custom bathroom vanity and kitchen cabinets, but also wet bar cabinets, entertainment centers, laundry room cabinets and bedroom furniture. There are no limits to your imagination.They offer cabinet door styles to fit every taste from sleek contemporary to classic traditional. Arts and crafts to old world & rustic finishes. You can choose your wood species, everything from all wood cabinets, Cherry cabinets, Maple cabinets, Walnut cabinets, Birch cabinets, Alder cabinets, Pine cabinets and Oak cabinets. Some of Omega’s most sought after collections include it’s Dynasty cabinets and Embassy cabinets. Then you can select the door style from the dozens available. Finish off your design by picking the finish you desire, paints or stains. Finally add a custom Glaze or Treatment to get a style that is uniquely you. The best thing about Omega is the quality for the price. Compare and be amazed. Dedicated to quality craftsmanship and superior service, Omega Cabinetry takes pride in each and every cabinet produced. From the select materials used to build the cabinetry to the multi-step finish processes applied to each component, Omega Cabinetry’s quality is unparalleled. They are backed by the most comprehensive warranty in the industry, and with the depth and breadth of their product offering, there’s no question that kitchen and bath solutions from Omega cabinets are the best value around! Ronbow was created to provide its customers with the luxury they desire at the affordable prices they deserve. We are a Premium Level Dealer of their products. They have an extensive collection of styles that you can mix and match. Come visit our bath and kitchen showroom in Rockville, Md to see Ronbow vanity options in person. Quality product is their mantra, from hardwood construction with a 10 step finishing process, to including luxury assembly details like dovetailed drawers, soft closing doors and drawers with full extension drawer glides. Ronbow’s Contemporary Collection is chic and stylish and features clean lines for a timeless elegant look. Their Transitional Collection is inspired with reserved style and contemporary luxury so you can create a personal resort. Inspired by old world designs, their Traditional Collection has a classic European elegance paired with luxurious practicality and functionality. The Modular Collection can be mixed and matched with design choices to fit any space. There is the Green Collection to round out Ronbow’s offerings, made of a sustainable Strawboard material to help provide the serenity of your own spa. Ronbow sinks and vanity options are all of the highest quality. Stop in our Rockville showroom and ask one of our specialists for a tour today! 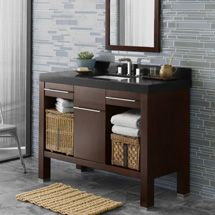 Fairmont vanity collections embrace design themes ranging from Traditional to Transitional, Contemporary to Rustic, Sophisticated to casual. Because they are a multi faceted company with a Home Furnishings and Hospitality divisions in addition to Furniture for the Bath, their size allows them to work with designers from around the globe so that they can keep abreast of the International design trends and provide innovative, fashion forward furnishings for the bath. They own and operate four state-of-the-art factories which allows them to provide the quality controls to insure sturdy, beautifully designed and well constructed fairmont furniture. Fairmont offers over 20 unique and distinctive collections, most with additional features such as countertops, open and closed storage, custom sizes and special finishes. 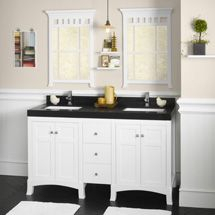 They have many sizes available, even small bathroom vanity and corner vanity options. 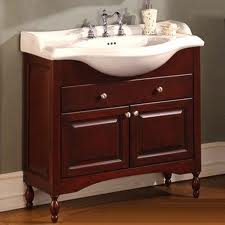 Some of the more popular options include 24 inch, 30 inch, 32 inch, 36 inch, 42 inch, and 42 inch bathroom vanity sizes. 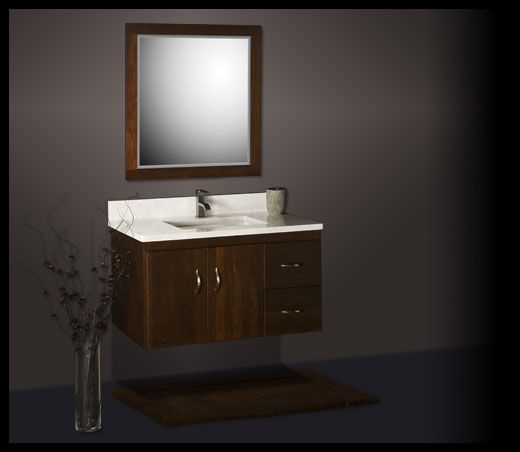 Many Fairmont vanity models also include the subtle niceties like sturdy dovetail drawer construction, satin finish interiors, soft close hinges and hardware specially designed to blend with each style. 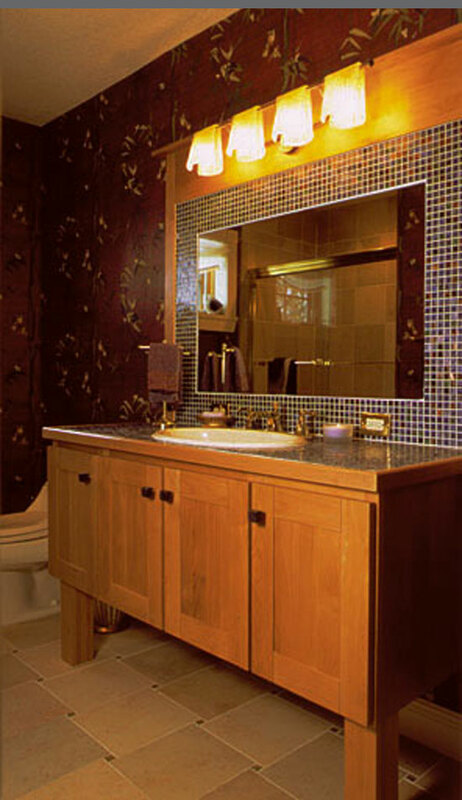 Strasser Cabinetry is a full line of bath furnishings proudly made in the U.S.A. They offer seven style families to choose from covering the range from Contemporary to Rustic vanites and Traditional. 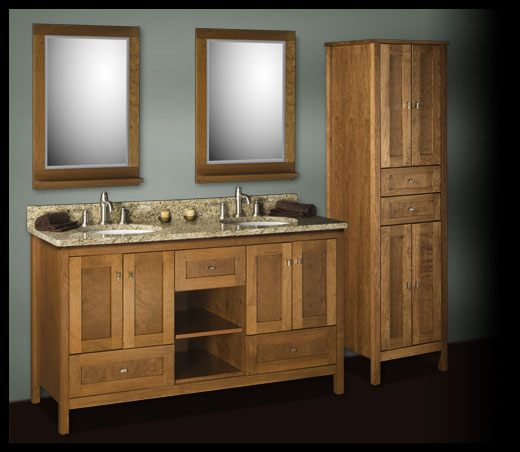 Strasser vanity and cabinet options include standard Modular cabinets, Furniture styles, Accents styles, Inset styles, Modern styles, Wall Hung cabinets and Eurolavs. There are 5 distinct door styles which are available in every series offered. They include a Slab door, Shaker door, Raised Panel door, Mitre door and a Beaded door. Strasser offers 4 wood species, Cherry, Maple, Oak and MDF. They offer 9 finishes on all doors. With all of these options, Strasser woodworks makes it easy to design a cabinet that is uniquely yours. Their line is made up of far more than just Strasser vanities. 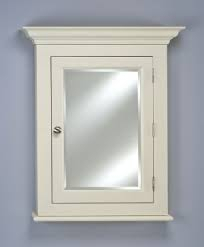 Strasser completes their line by offering a wide selection of Wall Elements including Wall Mirrors, Medicine Cabinets, Wall Cabinets and Tank Toppers. They also have some china countertops and a selection of standard sized Granite vanity tops. All of their products are backed by a Lifetime Warranty and made of quality components. Most pieces can be ordered and received in 2 to 3 weeks. 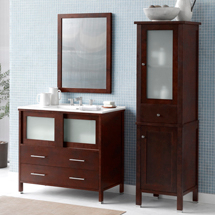 Empire has an extensive array of furniture style vanities in their portfolio. Empire vanities offer styles for every taste including many sleek contemporary pieces in a variety of finishes and sizes. They have transitional, traditional and some unique old world & rustic vanity designs as well. One of Empire’s specialties is their large selection of space saving vanity and sink combinations in all of there styles, such as their narrow vanity, narrow depth vanity, wall hung vanities, and other petite vanity options. In addition, they have matching complimentary pieces to complete what you started with your Empire Industries vanity. They have everything from Linen Storage cabinets to a variety of wall cabinets and Over the John cabinets. 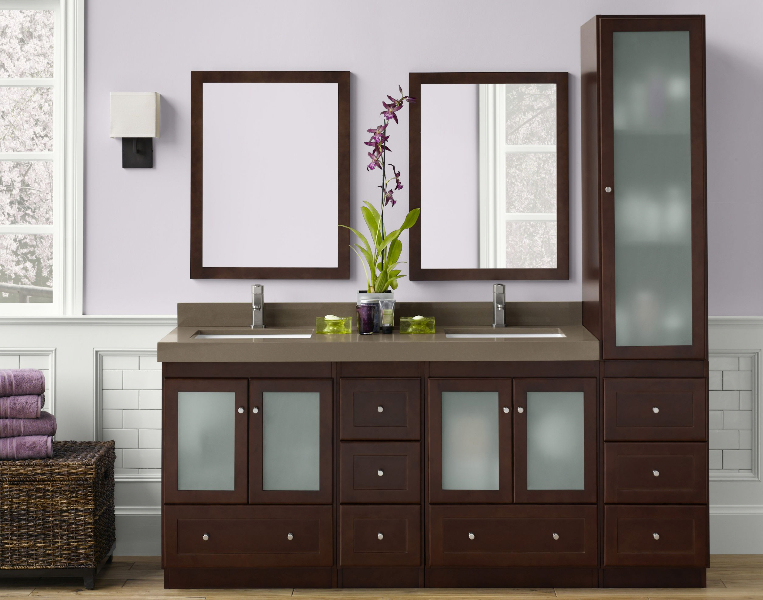 Finish your design with a collection of Empire medicine cabinets and mirrors.